Cloud storage company, Degoo, is not a household name. But it has managed to carve itself a niche inside the busy cloud storage market with two offerings that have attracted more than 15 million users over the past seven years with an estimated 20,000 people joining Degoo every day. 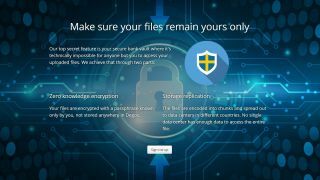 The Swedish company has teamed up with TechRadar to deliver an even better deal – get 200GB free cloud storage for a year with no strings attached. After 12 months, this will revert back to its regular 100GB package which is still plenty for most. Note that the free version carries adverts in the feed on Android. Even better, you can get a staggering 10TB for just $99.99 for two years. That’s a 58% saving off from the standard price of $9.99 per month and is exclusive to TechRadar. It’s a price that’s far less than the cloud storage competition. iDrivefor example charges $149.25 for 5TB for two years while pCloud charges $170 for 2TB for two years.